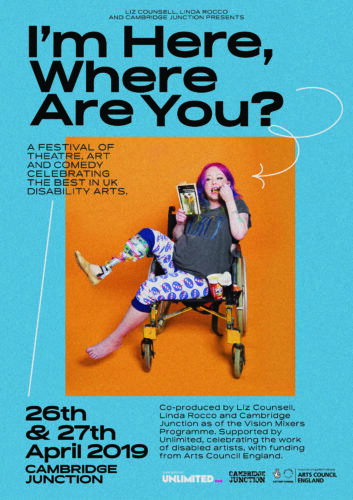 Run by Artistic Director Jenny Sealey, Graeae and its associates have worked tirelessly to bring in disabled actors, directors, playwrights, theatre workers, and staff to create groundbreaking and astounding work that is inherently accessible to all. 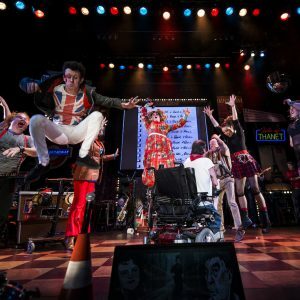 Ewan Marshall describes Graeae as “a group of like-minded people getting together and doing something extraordinary, steeped in a real disability sensibility which gives it our unique spin”. Ironically, this is also an appropriate description of Reasons to Be Graeae, the biography of Graeae, edited by Sealey. 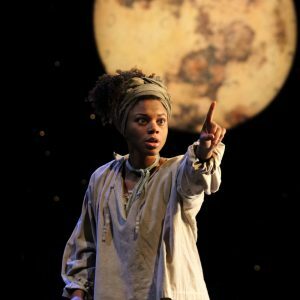 Comprised of interviews, short essays, lists, and original scripts, Reasons to Be Graeae uniquely chronicles the company’s history, achievements, and downfalls, and paints a nearly finished picture of what it was and is like to be part of the world’s first D/deaf and disabled theater. 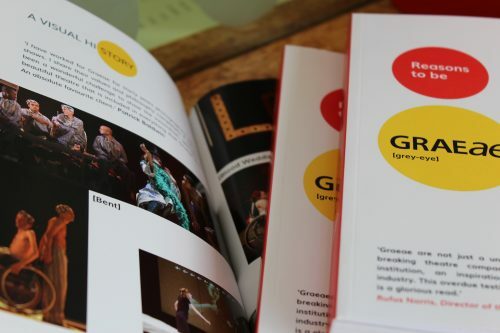 The book opens with a timeline of shows and major events in Graeae’s history, which can seem daunting at first, but overall, only major productions and events are discussed. Most notably, these are Blood Wedding, peeling, Diary of an Action Man, Bent, Blasted, The Garden, Reasons to Be Cheerful, The Iron Man, The House of Bernarda Alba, and the London 2012 Paralympic Games Opening Ceremony. All of these were major trendsetters because they either incorporated/ created new elements of theatre and used different forms of accessibility as an aesthetic component of the production, rather than as an afterthought. With commentary from Graeae’s founder, previous artistic directors, various theater workers, and actors like Mat Fraser to those from other theaters and companies who have worked with Graeae, various voices, styles, and narratives come together to bring Graeae and its projects to life. This blend is refreshing, as all the pieces are easy to digest, either in small chunks or as a whole, yet each one feels like it could be separated and easily stand on its own (which some have). Most are well-organized in a logical order, though the fact that they aren’t always chronological may cause some confusion. While any theater experiences tribulations, Graeae’s hardships have to do with the attitudes of those who pity disabled people and have thus looked down on their work, diminishing government benefits, and making productions accessible to all. This is thoroughly discussed in the book, especially by Sealey, but also by her associates, which is admirable and eye-opening. It is not easy to examine the things that have caused hurt to people and have limited advances, especially when the shortcoming is your own. For example, in her essay on plays beginning with “B,” Sealey discusses her production of The House of Bernarda Alba and the difficulties she encountered in trying to find “the perfect balance between creative experimentation and equal access” in terms of making the production fully accessible to visually impaired people. 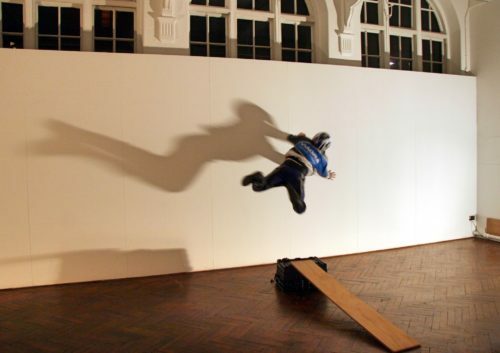 Dr. Tina Carter, an aerial tutor, choreographer, and academic provides some fantastic insight (via Lois Keith) on how different theatre exercises can be changed for disabled people: “consider the task and its purpose rather than simply prescribe an activity or action” (255). This is an important piece of dramaturgy that should constantly be thought about in terms of making theatre accessible, both for those who want to be a part of it and those who only want to watch. The most thought-provoking essay is by Adam Hemmings, who writes about the theater’s history in terms of language, reminding us that language and political power go hand in hand. The words used to describe disability have gone from regressive to progressive, as ownership has been taken back by disabled people and used to our advantage. This view of language is not something that is often thought about, yet this is arguably one of the most important essays in Reasons to Be Graeae, as it relates to every aspect of Graeae, other disabled-driven theaters, and ultimately, life itself. The last section of the book includes two original scripts: Reasons to Be Cheerful and SORRY: A Verbatim Play, the latter including characters who are administrators from Graeae. The plays are a necessary follow-up to the rest of the book – they let the reader even more into the world of Graeae by sharing original material. In SORRY, the politics of the Access to Work initiative and other government schemes are made fun of for their ineffectiveness – and while humorous, it is illuminating to see the constant barriers that the systems place in every disabled person’s way. After finishing Reasons to Be Graeae, I felt like I personally knew Jenny Sealey and her innovative and bright theatre company, thanks to the format and style of the book and the accounts of all of Graeae’s associates. Many of the writers who contribute make it very clear that they can’t believe that in this day and age, there are still not many theaters like Graeae. 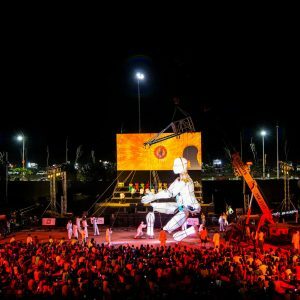 They are correct, but even when there are similar theaters (and there will be), Graeae will be the resource they look to first, as they’ve already set the bar high. So there will always be Reasons to Be Graeae.